Frankincense is considered a tonic, as it benefits all the body’s operating systems including the digestive, respiratory, nervous, and excretory systems. It aids in the absorption of nutrients and strengthens your immune system. 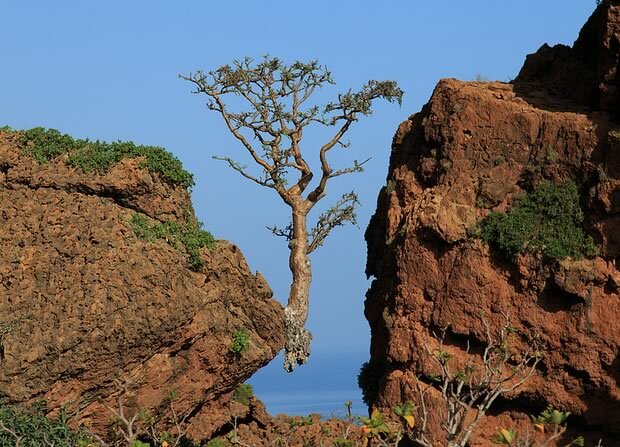 Frankincense tree, above Rosh Socotra, Yemen. Lately there has been increased interest in using frankincense as a healing agent for numerous issues. These benefits are attributed to its anti-inflammatory, astringent, antiseptic, disinfectant, digestive, diuretic and expectorant properties. 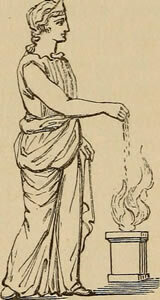 It also has carminative, (expels gas) uterine and vulnerary (wound healing) effects. Colds and respiratory disorder – Frankincense can break up phlegm deposits in your respiratory tract and lungs and can relieve bronchitis-related congestion. Oral health problems – The antiseptic qualities of Frankincense can help prevent bad breath, cavities, toothaches, mouth sores, and other infections. Digestive disorders – Frankincense speeds up the secretion of gastric juices, bile and acids and stimulates peristaltic motion to allow food to move properly through your intestines. Uterine health – Frankincense helps regulate estrogen production in women and reduces the risk of post-menopause tumor or cyst formation in the uterus. It also regulates the menstrual cycle of premenopausal women. 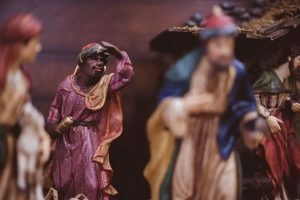 Frankincense is also being studied for its potential to treat cancer.There is a lot of clinical information on the web regarding this and it is suggested that you do the research for yourself if you are interested in finding out more about this, as there is just too much information for this newsletter to cover efficiently. Other applications traditionally associated with Frankincense include – treating arthritis, rheumatism, ulcers, asthma, bronchitis, gastrointestinal disorders, tumors, cancers, infertility, moods, anxiety/depression and memory loss, improving brain function, addressing aging skin and flagging libido! Whew! No wonder it was considered a precious gift given to the newborn babe in Bethlehem!